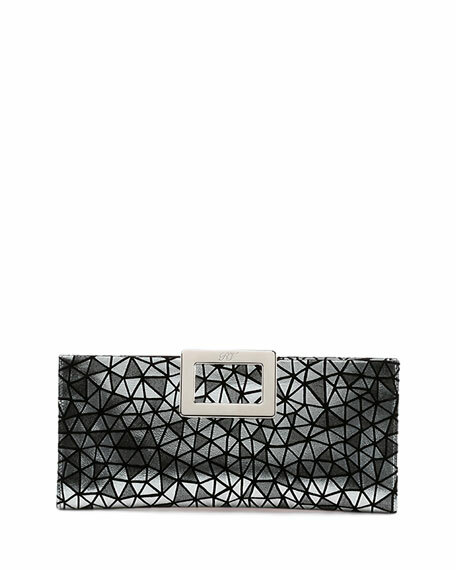 Roger Vivier geo-print mirrored calfskin clutch. Signature silvertone pilgrim buckle with logo engraving. 4.7"H x 10.6"W x 1.2"D.
"Belle Vivier" is made in Italy. For in-store inquiries, use sku #1640350.